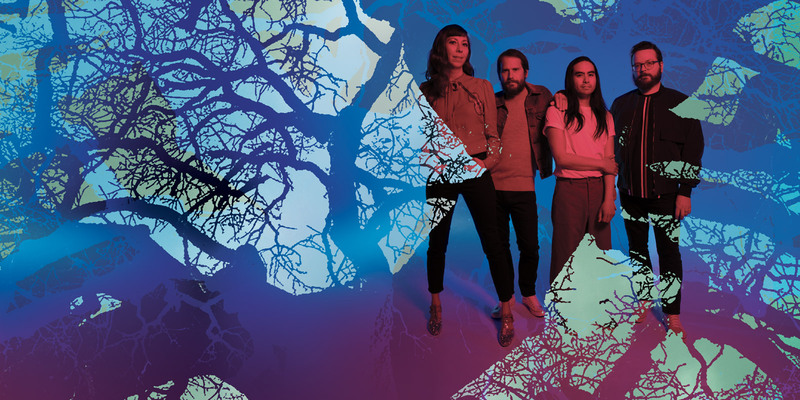 Silversun Pickups are back! Today, the band announced their first LP since 2015’s Better Nature, and along with it a brand new song. Widow’s Weeds will be out on June 7; our first taste of the new record is a track called “It Doesn’t Matter Why”. Check out the song and accompanying music video below! A little different right? It’s still clearly a Silversun Pickups song, but with a few wrinkles thrown in along the way. I loved the rollicking guitar at the start, and how the first few minutes sit in a very comfortable pocket. Around the second half, however, “It Doesn’t Matter Why” really breaks out and makes me love it. Overall, the track becomes more dynamic, and vocalist Brian Aubert gets to soar and show his impressive range – that signature timbre of his really shines through! I’m excited to hear more, as this band has been a favorite ever since “Lazy Eye” and “Panic Switch” caught my ear years ago. As I mentioned earlier, Widow’s Weeds will be out on June 7. It can already be pre-ordered on a variety of formats, so hit this link to reserve your copy. Be sure to follow Silversun Pickups on Facebook as well to keep up to date with more news and new songs along the way! Previous Postcodeia - "as he turned back towards the eye of the storm"
Next PostNNRA Breathe Life into Post-Metal with "Incarne"